You must be a member of the Munich Explore Bavaria & Europe Group to attend this activity. Would you like to join this group? Erin McBrayer, Social Media Manager at InterNations is working on an exciting new member campaign which will be announced this quarter which is based around encouraging members to make the most of life abroad by participating in awesome InterNations experiences! A video will be created which will showcase some of the unique, fun, and exciting activities we have around the world and among others the hiking event I am organising looks great for this purpose. Some videographers and department heads like Kathrin Chudoba and Dennis Habarov as well as another members of InterNations Community will join us to film. It will not require changing anything about the hiking event. I would like to let the attendees know that they have the option to either be in the film or not. According to weather forecast we will have a good wheather. "Walking in fresh air is the Best Medicine"
If we are ready to go with the laws of the nature "alkaline air_oxygen supply_in movement" we can improve our health fundamentally and autonomously. Let us hike Tegernsee See Coast on fresh air to improve our personal energy level by regenerating our energy fabrics, the mitochondrias, by increasing our resiliency on alkaline air for a better health management in the long term when faced with new & unexpected challenges. Long lasting movement improves both physical, mental performance as well as the immune system & let us make this continuously as working on these improvements need continuity. the 50% of participants could manage the tour and the other 50% dropped out and needed to take a bus or train back. *We are all adults, accordingly you take the responsibility of long distance in combination with high tempo tour totally at your own risk. These basic requirements are communicated many times; on this activity text and per messages -to make sure that these are well recognised. Accordingly activity host will not take any responsibility. -In case of bad wheather Condition the activity will still take place- Again, you attend this activity in case of bad wheather on your own responsibility and risk. Please bring an umbrella with yourself. 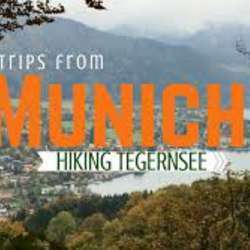 Please make sure that Tegernsee area is expensive if you want to attend an event in Tegernsee with lunch and dinner. This property of Tegernsee is well known. In addition you are free to bring your own food and drink. Please take all these basic requirements in account for your decision before signing in. I will be happy to wellcome you to the 2nd_ FEB Protected content of this activity series with real natural Challenges. "Health meets Beauty & Esthetic of the Nature and Being Human"